Tiger Woods is nowhere to be seen, it’s starting to rain, Tony Finau’s family waits for him, Justin Thomas comes out of the clubhouse and gets into his car. In the parking lot, the rear hatch of one of the Mercedes courtesy cars is up. It’s Tiger’s car, and Joe LaCava is sitting in the trunk. 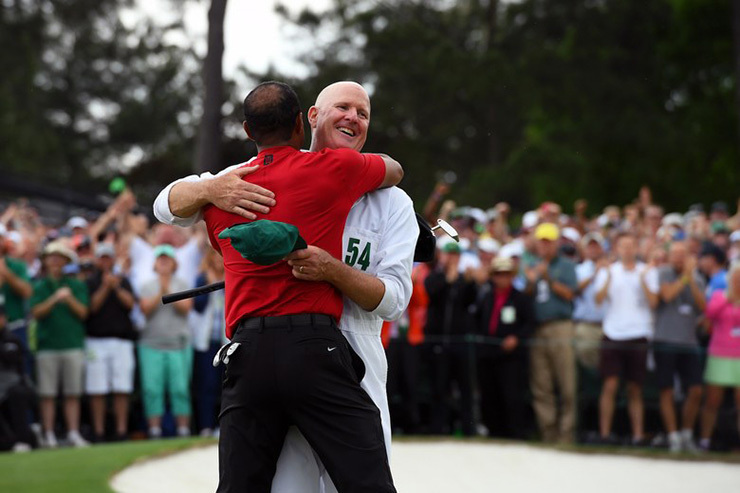 In the aftermath of Woods’ historic win at Augusta National, his caddie paused to reflect on a wild final round and the road that brought both here. LaCava said that Tiger was all business after Molinari, inexplicably, put his tee ball in Rae’s Creek. For LaCava, it wasn’t something he saw coming. Molinari, who’s so steady it’s borderline infuriating, wasn’t a player you’d peg as a candidate to drop a ball in the water on the back nine of a major. What didn’t change was Woods’ plan. LaCava thought there was a chance Tiger would switch 9 out for 8-iron, but he stuck with his plan, put his approach on the left side of the green, and made par for a two-shot swing that changed the entire tournament. The big Woods conversation that’s been on ice for the past decade is if he’ll beat Nicklaus’ record of 18-majors. What looked like an almost certainty became a certainly not. But now . . . maybe? The leader board was alarmingly stacked during the back nine on Sunday. Dustin Johnson, Molinari, Xander Schauffele, Jason Day, and others all had legitimate chances to win the Masters. But there was one name that was sticking out to LaCava: Brooks Kopeka. 4. He, jokingly, denied Tiger a read on that 18-inch putt for birdie on 16. That 8-iron Tiger hit into the green on the par-3 16th was absolutely pure. It hit the green and started rolling back towards the hole. Everyone, including Tiger, looked like they thought it was going in. But it missed the cup, leaving Tiger about 18-inches for birdie. “He’s a very confident person so he always thought he could do it,” said Lacava. 6. Tiger’s scheduling so far this season was helpful Sunday. For over 20 years, LaCava caddied for Fred Couples. In 1992, Couples won the Masters with LaCava caddying for him. Both Couples and Woods both won with 13 under. LaCava wasn’t willing to compare the two wins beyond the facts. “On the first tee I told him, ‘Intense but loose,’” said LaCava. “Don’t carry the weight of the world.” It’s a delicate balance, to make sure you’re fired up enough to hit the big shots, but you don’t want to be so overwhelmed by the moment that you tighten up and lose your ability to swing the golf club as you know how to. 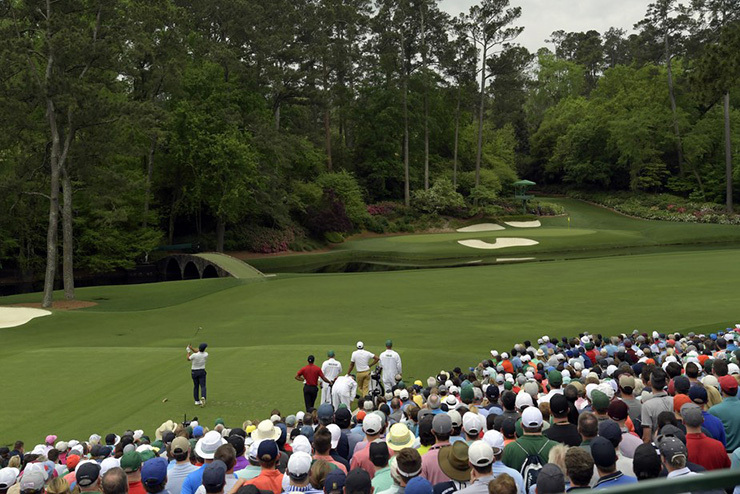 Generally, most people wouldn’t point to Tiger two-putting the ninth green as one of the biggest moments of the day. But for LaCava, that two-putt was huge. “He’s the best at the game, but people don’t realize how hard that was,” explained LaCava. “That was big. Giving us momentum, shooting under par on the front nine. 10. There’s a part of Joe that always knew this was going to happen.